Demand. The first step is positioning your product correctly. You’ve done the market research into trends, competitors, and customer needs. 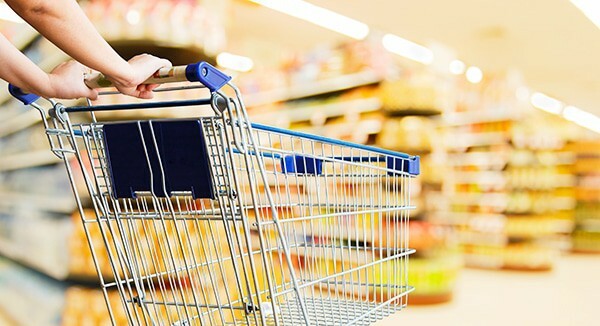 Unless your product is unique to the market and will immediately stand out because of its groundbreaking design or application, you should walk the aisles and understand your competition. There may be only one product or there may already be twenty products that will be next to you on shelf, so be sure to know how you want your brand perceived and communicated through your packaging. Remember, your competition has brand legacy and consumer loyalty on their side. If you are adding one more product in an already extremely cluttered environment, be prepared to compete hard for your voice on shelf. Differentiate. Your brand is bigger than your package design. While the two exist together in a symbiotic relationship, your brand extends far beyond your package in defining your purpose, values, and aspirations. Invest the time and money in creating a thoughtful brand story that communicates these attributes across a wide variety of media and applications, and that will grow with you as your product line expands. When it comes to a strong brand story, people don’t buy what you do, they buy why you do it. Additionally, if your brand is able, another differentiation strategy is disruption – or purposefully going against the grain of the existing category players. Use unique shapes, colors, messaging, and graphics to stand out from the status quo. Delivery. If you are introducing a groundbreaking product, create a package structure that is equally as innovative, adding the convenience and value that will pull consumers away from brands they are loyal to. Take the time to invest in input from your likely customers, and enter into the package design process with solid insights on consumer preference for effective packaging. Once you get to a structure that meets the objectives, test it out! You never get a second chance to create a first impression, and there is nothing worse than getting a product in the consumer’s hands only to find out the packaging doesn’t work as planned. Design. You have established your brand. You know what differentiates your product. You have finalized a package structure. Now the graphic design process begins by integrating components within a visual design system that clearly and efficiently communicates brand messaging, product features and use, and all mandated regulations. And, unless you are content to just bring one product to market, anticipate the potential of product versions and line extensions within your design vision. Taking your time and thinking through the process works. 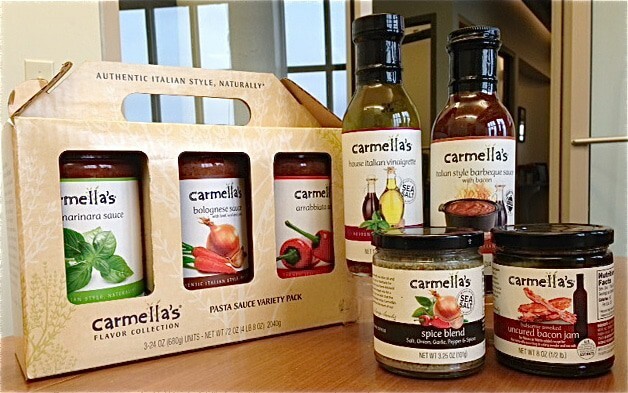 A great example of a successful new product launch is family owned Carmella’s, an Italian Bistro, specializing in Italian cuisine using treasured family recipes passed down through three generations. 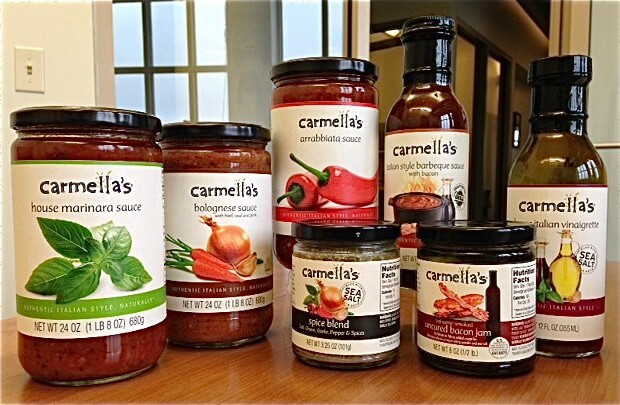 We worked with Carmella’s to introduce its pilot project, tomato sauce, which was packaged in a glass bottle, selected to clearly display sauce style, quality, and content and was notably different from the competitive retail products on shelf. Capitalizing on the established logo and brand of their family-owned restaurant, we created a visual design system to communicate the sauces authenticity and all-natural personality with the idea that we would swap out images and colors as Carmella’s added to its product line over time. 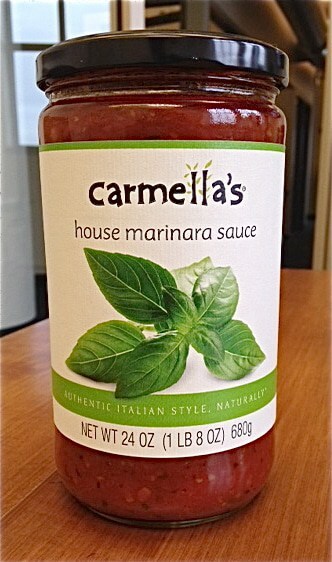 Carmella’s initially introduced and sold the product exclusively in its restaurant; however, over the past several years, the business expanded its product line to seven (with more projected) and expanded its sales to include retail distribution throughout Wisconsin and northern Illinois. During the process, Carmella’s maintained a commitment to remain true to the initial visual design system, resulting in strong brand recognition and continuity. The Carmella’s example clearly demonstrates that a commitment to developing an effective visual branding and design system begins literally from day one. By doing so, it will ensure you successfully manage your product expansion in the future. If you are thinking of launching, relaunching or expanding your product line, we invite you to check out our packaging design capabilities and click here or contact us at 920-725-4848 or info@brand-directions.com. Throughout our 60 plus years in supporting customers with consumer brands large and small, we apply our experience and expertise to the entire process to create efficient and effective solutions. Our team of experienced professionals knows the best tools, and the most effective visuals and messaging to make your brand not only stand out but win in the marketplace.